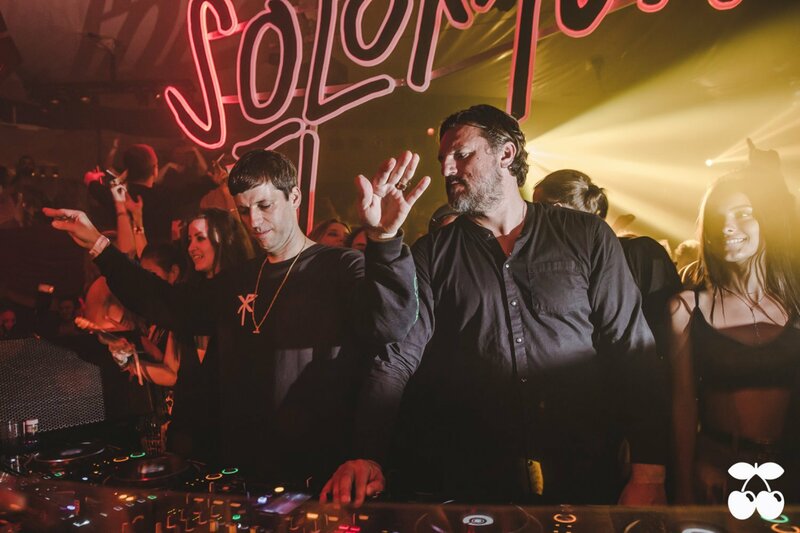 Why Solomun + Dixon = a winning formula at Pacha this Sunday 29 July. Some fixtures in the Ibiza clubbing calendar demand special attention. Few can be said to be as unmissable as when Solomun invites Dixon to be his +1. There's no denying that both have earned legendary status, each commanding a cult-following. Looking back to the very start of the season, both men were invited to spin open to close as part of Pacha's six opening parties The Heartbeat Of The Island in May. Back then we were treated to individual all-night-long sets by both superstars. Now, as Solomun's Sunday night residency continues to be one of the island's favourite parties, the heartbeat of the island beat stronger than ever. This Sunday the paths of these two monsters converge under that same roof. Quite frankly, it doesn't get much better than this. When Solomun upped sticks from Sankeys to move to Pacha back in 2013, few could have predicted what lay ahead. At the time the switch was considered a gamble by both parties. But the facts do not lie. It didn't take long before it proved to be the right move, a runaway success. Arguably there is no better match. Six years later it's hard to imagine Sundays at Pacha being anything other than Solomun +1. Each year Solomun programmes a season of guests who fit seamlessly into the +1 concept. This year's bookings followed suit, as a stellar cast again passes under the twin cherries. If there were one guest, though, that music fanatics always look out for, it has to be Dixon. Let's take a look at some of the music we might hear on the night. Solomun's first solo EP in three-years produced three sublime cuts. However, it was this trancey number caught our attention the most. On the remix front, Solomun has been as prolific as ever - lending his personal touch and making tunes his own. Foals, Super Flu and Age Of Love have all been given his Midas rub. But this is our pick. This one comes from his arsenal at the recent Diynamic showcase. Might we get a repeat play on Sunday? Although Innervisions and Diynamic have trodden very separate paths, there's no disputing that some overlap exists. It might go some way to explaining why Dixon's chemistry with Solomun is as telepathic as his with Kristen. Both camps have assembled a roster of in-house production geniuses. Both have curated a peerless back-catalogue of releases. Finally, during a time when techno's popularity was soaring in Berlin and worldwide, both German stables stuck to their principles without compromise. Dixon led with his nuanced dedication to deep house, while Solomun pursued a new-age disco that sounded like nobody else. Now both labels are reaping the reward for daring to swim against the tide. Radio Slave's brutish techno tub-thumper gets the Dixon treatment. A track that Dixon unloaded at Afterlife earlier in the summer - and one of the few for which we managed to get an ID. One from taken from the label and rising Innvervisions protege Trikk from Lisbon. Whilst we can speculate about what music might get played, the beauty of this event is that our captains could steer us in any direction. Unreleased tracks, edits that won't see the light of day and obscure records are all on the menu. One recurring adage with Dixon is that his selections are incredibly difficult to ID. So with that in mind, keep your phone in your pocket and just go with it. Allow yourself to be taken on a journey. What we can say for certain is that there will be melodies, curveballs, hidden gems and - if you pardon the pun - some truly dynamic DJing. Finally, as if the spectacle were not sweet enough, history points to a gold standard back-to-back to finish. As we've now officially reached after hours season, there may well be a carry-on, too. It's gonna be deep, it's gonna be progressive and at times it is going to get heavy. Note: This one could very possibly sell out, so think ahead. The final allocation tickets for Sunday's show, plus all remaining +1 dates, are available to buy now.